India’s e-commerce market is estimated to have crossed Rs. 211,005 crore in December 2016 as per the study conducted by Internet and Mobile Association of India. The report further claim that India is expected to generate $100 billion online retail revenue by the year 2020. Marketplace enables third-party sellers to register and sell online on their platform. Third-party sellers under this model gain access to a larger customer base, registered with marketplace. Government has also allowed Foreign Direct Investments under such model to promote e-commerce marketplace business model in India. Marketplaces has provided retailers with additional channel of sales and reach which was unimaginable for an offline seller. Major marketplaces claim to have lacs of sellers affiliated with their platform with millions of SKUs. While the number of sellers and their business have increased significantly, GST has specifically taken up marketplaces and has come out with rules & regulations specific to this segment. No threshold for GST registration: Government has specified a threshold limit for all the businesses. A business is liable to register for Goods and Services Tax once such threshold limit is breached. Click here to read more about threshold limits under GST. However such limit is not applicable in case of E-Commerce sellers*. No Benefit under Composition Scheme: Most of these sellers registered with marketplace operators are small and medium businesses. Government has introduced composition scheme under GST law. This scheme is primarily aimed to reduce the burden of compliance for small and medium businesses. Under this scheme, businesses are required to file returns quarterly instead of monthly and pay taxes at nominal rates up to 2%. To know more about Composition Scheme, Click here. However GST law has explicitly excluded e-commerce businesses from this scheme. Tax Collection at Source by Marketplace Operator: Under the new tax regime, marketplace operators are mandatorily required to deduct a percentage amount as the GST liability of seller and deposit it with government. 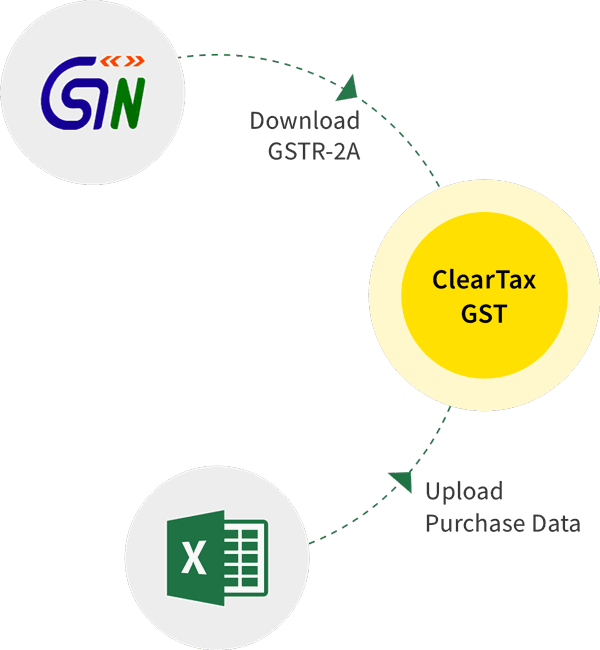 This mechanism is being termed as “Tax Collection at Source (TCS)” under the GST law. Eventually the marketplace seller will have to file monthly return under GST to claim the credit of TCS collected by the marketplace operator. This will also impact the liquidity and cash flow of these sellers. While all the marketplace operator have already completed the first level analysis of impact of GST on their operations, marketplace sellers are still unaware of these rules. Need of the hour is to keep themselves aware of the changes that are going to come. Also such sellers should now start planning their transition strategy for GST regime. Get your GST enrollment done on time. To read more about the enrollment process and its relevance, Click here. Adopt such platforms, technologies which will enable your business to be GST compliant. Click here to get all updates and access a pool of GST Calculators. Although we are at a very initial stage for GST implementation. But marketplace sellers may not have much luxury of time and it is advised to be proactive in your business decisions for GST transition.